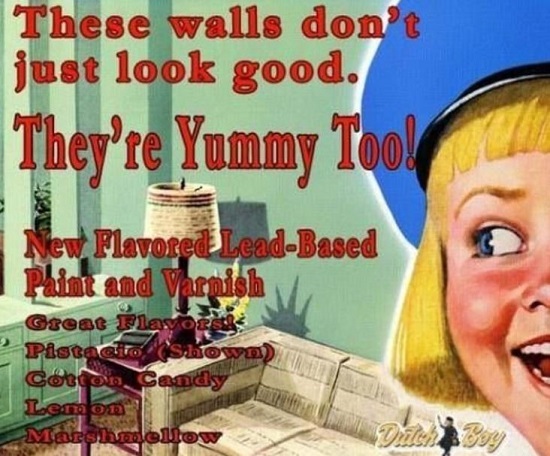 I’m not old enough that I actually remember ads for “Lickable Lead Paint” like the one above. And as a disclaimer, I’m not even sure this particular ad isn’t a spoof (lead acetate/lead paint taste sweet) of the very real “Dutch Boys Lead Party Book” which came out in the early twenties. I am old enough that, like many people in my generation (I’m 57 years old), I probably had blood levels of lead that would be considered highly toxic for infants and children today. In the 1960s, a young child such as myself could have up to 60 ug/dL (micrograms of lead per deciliter of blood) before hitting what was considered a dangerous level. Living in a city with plenty of leaded gasoline car exhaust, living in an old tenement apartment building with plenty of huge paint chips littering the porch I played on everywhere, and living in a culture where corporate interests pushed Lead in everything from paint, to gas, to toys, I’m pretty sure I got my fair share of lead back in the day. Being labeled “moody”, “irritable”, “delayed” and “something wrong, possibly autistic” in kindergarten makes me wonder about this even more, although I was never tested for Lead (or anything else) back then, and was left to “come out of it” on my own. I did “come out of it”, albeit slowly, once my family moved to a new residence soon after. I’ll never know “what the problem was” back then, but with the benefit of knowledge and hindsight, Lead Toxicity would certainly be on my list of considerations. Today, blood lead levels over 5 ug/dL are now considered toxic and dangerous to young infants and children (and possibly adults, as of 2015), and many believe that lead is not safe at any blood level. For those of you wondering where you stand on the “acceptable lead levels in my lifetime timeline”, a graph showing the CDC-recommended action level for blood lead in children over time since the 1960’s can be seen here. Flint Michigan has gotten all the media attention lately, but they’re just the place that happened to get caught, thanks to a determined Flint pediatrician and mother of two who wouldn’t give up. Thousands of US areas are afflicted with lead toxicity of at least twice Flint’s rate, and the data shows that despite broad national progress in reducing environmental lead levels, lead hazards continue to imperil many communities. Unfortunately, it’s quite possible that some of the lead I may have picked up from my porch over 50 years ago resides in me still, possibly affecting me in some unsuspecting and surprising ways. Lead competes with a variety of important minerals, such as calcium, iron, phosphorus, and zinc, for a huge number of important enzymes and proteins in the body, which is what causes so many of the acute effects of lead toxicity. It is the neurotoxic effects on developing young brains that is such a concern with acute lead toxicity in infants and young children, because for the most vulnerable kids environmentally, nutritionally, and genetically, high enough exposure at this time can leave permanent effects. Growing children use more calcium to form growing bones too, and if Lead exposure is increased in the environment during this time, their bones will take up more Lead too. Lead “follows calcium”, and will eventually be stored in our bones. Our bones and teeth as adults contain about 94 -95% of our total Lead body burden accumulated in our lifetime; in children, various statistics range from 73% – 90%. Once Lead is locked away in our bones, it’s considered non-toxic to the rest of our body, or at least, not such a threat. So if it stayed there, it might not cause so much of a problem, but that is not the case. Bone is constantly being “remodeled” at various rates throughout our lives. “Remodeling” here just means that we constantly are breaking down old bone, and making new bone. The half-life of lead in bones ranges from years to decades, in part because of this low level of baseline “bone remodeling”. However, there are times in our lives when “bone breakdown” occurs at a faster rate. This is usually times when we need more calcium, and since our bones are the “storage house” for calcium, this is where our body gets it. As bone is broken down, however, not only is calcium released into our blood, so too is the accumulated lead in our bones. And the more lead that is in there initially, and the faster the bone breakdown that is occurring, the more lead is released into our blood again. 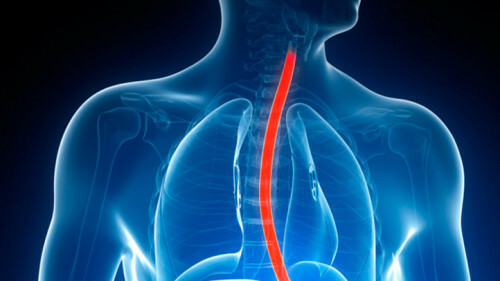 So just as lead can last a very long time in our external environment, it can last an equally long time – a lifetime – in our “internal environment”, our bodies for life. When might more “bone breakdown” occur in our lives? Often this is during times we need more calcium, but can occur during certain illnesses or conditions as well. For example, bone-to-blood Lead mobilization increases during periods of pregnancy, lactation, menopause, physiologic stress, chronic disease, hyperthyroidism, hyperparathyroidism (1), kidney disease, broken bones, and advanced age. This can all be exacerbated greatly for someone with low calcium and other mineral deficiencies during these times. Women are particularly susceptible because our calcium needs can fluctuate and change more throughout our lives as we go through pregnancy, nursing, or menopause, and in comparison to men, we experience much greater rates of thyroid disease and osteoporosis (which by definition is the breakdown of bone). Consequently we’re subjected to potentially increased blood lead levels during these times as well. We also are getting the same lead exposure that men are, but we’ve got lighter body statures and weights in comparison to boot. Let’s look at my particular case as an example. I am an older post-menopausal woman. Like many in my age group, I was exposed to much higher levels of lead as a child than what *should* be occurring today for the general population. Due to successful US regulation, lead levels in the environment and in blood levels of the population overall have continued to decline dramatically. But this occurred gradually over my lifetime and I most likely continued to accumulate my exposure and “lifetime burden” of lead into my bones. Until the last several years, I never tested my blood lead levels, so I have no idea of what the trends may have been throughout my life. I never went out of my way to take extra mineral supplementation, simply because I didn’t understand the importance of this throughout most of my life, and in particular, as it relates to lead toxicity. Thankfully, I did drink a ton of milk and presumably got a lot of calcium that way. However, I also went through a period in my later life where I drank a lot of purified distilled water, again, without thought of mineral replacement. I also worked for a period of time in a profession where I occasionally wore leaded full-body and thyroid shields used as protection against radiation during X-ray procedures; looking back, many of these aprons were not in the best looking shape physically. A screening bone scan a few years prior to menopause revealed I was slightly osteopenic, and now, as a post-menopausal woman, I am at increased risk for osteoporosis. I also have recently discovered/developed thyroid disease, experiencing bouts of hyperthyroidism. All of these put me at increased risk for “bone-to-blood” remobilization again. I have tested my blood lead levels several times within the past several years and they are always around 2-4 ug/dL (so I now have this baseline to use for future comparisons). This is considered acceptable for an adult, and may reflect a low level current exposure, remobilization, or a combination of both. A particularly interesting, and in my opinion, potentially significant “Lead Re-exposure” incident may have occurred when I took a fluoroquinolone antibiotic over six years ago. I experienced a severe, acute, and ultimately permanent adverse reaction to just a few pills, described in articles I previously wrote for this website, here and here. Symptoms of “Fluoroquinolone Toxicity” appear to mimic many other conditions, and lead toxicity is one of them. I describe how these FQ antibiotics may have contributed to yet another bout of “Acute Lead Toxicity” within myself after taking these antibiotics here. How do I know if that did or did not happen to me? I don’t – because I didn’t know to test blood lead levels during the acute stage (first 6 months) of my reaction or beyond. But now that I do, I would recommend all severely affected fluoroquinolone victims monitor blood lead levels over time during the course of their reaction, especially during the acute phase and relapses, to see if this might be something occurring in this population. A nice summary in table form shows the biological fate of Lead and its clinical significance here. Who Is Susceptible to Lead Toxicity? If Everyone Was Exposed to Higher Lead Levels Back Then, Why Doesn’t Everyone Have Lead Toxicity Today? It’s a legitimate question. Some people appear to be more affected than others. Why is this? Obviously, those with less environmental exposure in the soil, air, water, and paint during those all important early years are going to have an easier time of it. Every generation born after the 60’s as a group would be expected to have less exposure. Additionally, basic blood lead level screenings by physicians were initiated and required for infants and very young children in general, allowing early identification of some of the worst cases. However, even as late as 1991, 25 ug/dL was considered “safe”, so by today’s standard, one could question the interpretations of those screenings. Areas of lead toxicity differ greatly, within countries, states, communities, and individual homes, and mandated testing of children appears sporadic in nature as well, even today (never mind adults). Flint Michigan is one example of a lead toxicity crisis for both children and adults, but there are many more Flints, recognized and unrecognized, even within this country. It’s unfortunate that lead toxicity has also been labeled a “minority poor inner city kid problem”, making it a little easier for the rest of society to stay in denial. However, this is an outdated idea that simply isn’t true, especially as recommended “safe levels” of blood lead levels continue to decline. So where you live, or your economic status, or your physician’s clinic protocol for testing, or your age, doesn’t guarantee you a Lead-free existence or early identification if you’ve got a problem. After that, it’s well accepted that overall mineral status is a factor. Lead competes with essential minerals such as calcium, iron, phosphorus, and zinc for the same receptors in enzymes, transporters, and in cell signaling processes. Adequate concentrations of minerals can offset the small concentrations of lead found in background levels of foods and soils, and can only help if Lead exposure increases. Keeping a healthy balanced mineral status is probably one of the best defenses against lead toxicity, forcing lead excretion rather than binding to enzymes or storing in bone. High concentrations of healthy essential minerals combined with low concentrations of lead levels is the best scenario, as essential minerals we need to function would be able to out-compete lead for enzymes, receptors, and transporters. On the other hand, low concentrations of healthy essential minerals combined with high lead levels would be a worst case scenario for potential toxicity. Children and adults eating healthy diets with adequate minerals will probably experience less toxicity to the same exposures of lead than someone who is deficient in calcium, iron, phosphorus, zinc or other minerals. Unlike when I was a young child, there is so much more knowledge and awareness about minerals and their importance today, and the internet makes this type of information easily accessible. A vast array of mineral supplements are available as well, making this an easy approach to help with prevention. A nice lead-related summary of nutrients can be found here: Fact Sheet: Nutrients That Reduce Lead Poisoning. Lastly, today, unlike back in the 1960’s, we know that genetics will make a difference. Genetic variants in enzymes, mineral transporters, and receptors will make a difference as to how much people can utilize minerals, even if adequate levels are supplied. People with these variants may not be able to out-compete increasing levels of lead as easily or effectively for enzyme or receptor binding. Specific examples include the enzymes Delta-aminolevulinic acid dehydratase (ALAD) and ferrochelatase, both of which are quite sensitive to lead and easily inhibited by low levels of it (1, 2, 3, 4, 5, 6). Differences in these genes can cause even further increased sensitivity to lead poisoning for people who carry specific variants. Lead also impedes vitamin D conversion into its hormonal form, 1, 25-dihydroxyvitamin D, and this may be exacerbated by genetic variants in the enzymes involved in this reaction (4). Invariably, whenever an article like this is written, there is always a group of people who will argue that “Lots of us grew up with lead levels considered highly toxic, and we turned out OK, what’s the problem?” What these fortunate people don’t seem to realize is there are numerous factors involved in who is more susceptible to lead toxicity than others. If you were lucky enough to grow up in a low lead environment, with parents who were nutritionally aware to ensure you had a healthy diet with adequate minerals, and were born with the genetics to withstand higher lead levels if it did occur, then you will be fortunate enough to maintain your denial that lead toxicity has been and continues to be a real problem for individuals not as lucky as you and society as a whole. It’s usually not until it happens to you or your kid, that it enters onto your radar. And how would you know if that happens? Well, when things get so bad it can’t be hidden anymore, you’ll be informed after the fact as in Flint. Otherwise, the only way to know is to test yourself. How Do You Know If Lead Toxicity Is a Problem for You? Test Yourself! (And Your Kids, If You Have Them). I don’t think I had ever had a blood lead level test in my life up until a few years ago. But now that it’s on my radar, I’ve tested several times in the last several years. As far as accumulated Lead levels within myself, I know that horse left the barn long ago. I’m in the age group where it’s “in my bones”, so one could argue that it’s a little late to be testing. But I figure, better late than never. The best I can do now is to keep a healthy balanced mineral status, and test regularly or when circumstances warrant. In my case, I’m not going to attempt chelation therapy, and keeping blood Levels under 5 ug/dL is my goal. It’s simple enough to test. I’ve gone through my physicians, and I’ve ordered the tests on my own as well. Alternative and holistic practitioners might be more willing to test also, if you can’t get your mainstream physician to do so. Using myself as an example, I now know my blood Lead levels have repeatedly been in the 2-4 ug/dL range. If I move from my current residence into a new one, and my levels increase within the first couple of months, I’ll know there’s more Lead in my new environment, and can decide what action to take from there. It’s beyond the scope of this article to get into the pros and cons of blood testing versus other forms of testing for lead (ZPP, FEP, hair, nails, urine, etc. ), or what to do in terms of treatment or contacting authorities if lead levels are found to be high. I’ve provided an extensive list of references for further information, and of course there is a wealth of information on the internet as well about lead toxicity. I have done hair testing as well as blood testing, and in my case, it seems like results were comparable. However, despite some of the limitations, I prefer the standard venous blood tests because these are accepted by the medical profession, and other agencies and entities you might come in contact with if your results are high. Blood lead testing isn’t perfect, but it will catch increased chronic exposures that could occur due to a move to a new house or lengthy renovation, or taking up a new hobby involved with lead. In this day and age, lead toxicity is increasingly preventable – or it should be. It is not preventable, however, if you don’t even know about it in the first place. In my opinion, it is unfortunate that blood lead testing isn’t done on everyone as part of an annual wellness screen, in particular, from childhood up throughout adulthood. Currently, many testing screens seem to end around 2 years of age, then leaving it up to physicians to ask questions about the child’s environment or to think of lead toxicity if symptoms develop. As we all know, children don’t stop growing at the age of two, with a lot of metabolic turnover continuing up through young adulthood, including the “bone spurt growth” through the teens. Preventing lead accumulation in growing bone during the teen years seems like a good idea, and if I had kids, I would want at least an annual screening done during this time. Blood lead levels will often rise long before symptoms start occurring in a chronic exposure situation, giving one the opportunity to catch an environmental source long before that. Scrolling through the list of references I’ve provided shows that plenty of lead still exists in the environment, and that lead toxicity continues today, regardless of location or socioeconomic status. For adults, annual cholesterol screenings are recommended, and HIV tests if the situation warrants, and I think testing for lead is just as important, given its toxicity and ease of testing for it. As to who should have a blood test and when, this Australian link by The Lead Group, Inc. and the US based Agency For Toxic Substances and Disease Registry: Lead (ATSDR) sites provide excellent summaries for exposure routes, and include circumstance you might not normally think of. Adults can be exposed during certain hobbies and activities where lead is used. Some of the more common examples include artistic painting, car repair, electronics soldering, glass or metal soldering, glazed pottery making, molding of bullets, slugs, or fishing sinkers, stained-glass making, target shooting, paints, pigments, facial makeup, or hair coloring with lead or lead acetate. A more extensive and comprehensive list is provided on the ATSDR: Lead site. Remember that for women, lead re-mobilization can occur during a number of additional circumstances and life stages as well. In this day and age, lead toxicity is increasingly preventable — or at least, it should be. It’s only one of many toxins we’re potentially exposed to on a daily basis, but it is a testable one. Testing yourself is easy, inexpensive, within your power and control to do, and a way to confirm your current lead exposure with an objective measurement. Monitoring over your lifetime will let you know anytime your exposure changes for the worse, and can give you peace of mind when it doesn’t. Lead toxicity is one of those conditions where people will have variations in vulnerability due to individual genetics, mineral status via a healthy diet and/or supplementation, and the amount of exposure in the environment. Two out of those three can be changed and controlled (diet and environment), and the third (genetic susceptibility) could be identified via genetic testing if elevated blood lead levels are found. Love may be fleeting, but lead is forever. This means your entire lifetime, and that of your children, and that of their children. The practical aspects of how to approach lead toxicity can’t be covered in one article such as this one. I found a good comprehensive source of information in Agency for Toxic Substances and Disease Registry, CE for physicians, Lead Toxicity. 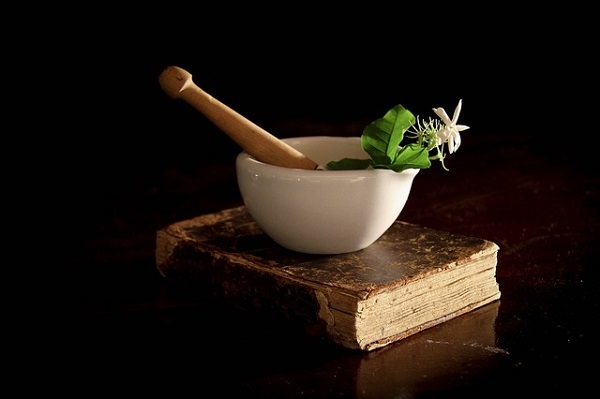 The information is provided in an easy to read, “cliff note” style format for physicians, so reading it will put you on par with your physician in terms of knowledge on how to deal with this lifelong toxin in our external and internal (our bodies) environment. Agency for Toxic Substances and Disease Registry, CE for physicians. The next two links are also from the site. Lead Toxicity What Are the U.S. Standards for Lead Levels? Lists acceptable lead levels in food and environments, good summary in simple table format. Lead Toxicity What is the Biological Fate of Lead? Good summary in simple table format. The Lead Group: Fact Sheet: Nutrients That Reduce Lead Poisoning. Unsafe at Any Level: Millions of American children missing early lead tests, Reuters finds. Mentions which states require testing of children and which ones don’t; has a map with picture of states that require testing; mentions screening cost at doctor’s office is $7.00. CDC Fact Sheet: Blood Levels in Children: What Do Parents Need to Know to Protect Their Children? The Lead Group: Blood Lead Testing: Who to test when, and how to respond to the result. Australian recommendations on who to test when, good summary. Ob-gyns say no to routine lead testing in pregnancy. If you agree with these arguments, then don’t test. However, if you disagree, know you can test on your own in many states of the US. High Lead Levels In Tap Water Outside Of Flint: How To Test If Your Drinking Water Is Safe. What’s in Your Water? Flint and Beyond. Use this interactive map to find out which community water systems across the country violated the EPA’s Lead and Copper Rule, including health violations, as well as which communities exceeded the EPA’s lead action level of 15 parts per billion (ppb). My county is one of them. Thousands of US Areas Afflicted With Lead Poisoning Beyond Flint’s. Reuters found 2,606 census tracts, and another 278 zip code areas, with a prevalence of lead poisoning at least twice Flint’s rate. Lead in Flint man’s blood is 5 times what’s toxic. Yes, it happens to adults, too. Two Dogs Test Positive For Lead Poisoning in Flint, MI. All our family members are vulnerable. Lead Poisoning in Dogs and Cats. Dogs eat the darndest things(! ), and diagnosed lead toxicity in your pet can be a warning sign for your family. Be aware birds are highly susceptible to lead tToxicity also. Lead Safe America Foundation. After her children were poisoned Tamara found that parents across the country were facing the same challenges she faced when her children were first poisoned: difficulty finding information, difficulty communicating with pediatricians about the issue, difficulty finding resources and a near impossibility to find emergency short-term alternative lead-safe housing once a child has been poisoned. LSAF was founded to help alleviate the challenges faced by so many parents of lead-poisoned children. There is also a good Facebook page here with tips on how to limit Lead exposure. Autism and Autistic Symptoms Associated with Childhood Lead Poisoning. Lead: America’s Real Criminal Element. Interesting article relating rise and fall of crime rates with rise and fall of lead in the environment. Lead Poisoning And The Middle Class: The Silent Epidemic That Doesn’t Discriminate. WHO: 143,000 deaths per year from lead poisoning. Despite U.S. restrictions, lead persists. Chronic lead poisoning from urban soils. Kinetic analysis of lead metabolism in healthy humans. Early Life Exposure to Lead, Iron Metabolism, Gene Variants, and Impacts on Reproductive and Infant Outcomes. The Epidemiology of Lead Toxicity in Adults: Measuring Dose and Consideration of Other Methodologic Issues. Lead Poisoning and the fall of Rome? and Decline and Fall: Did Lead Poisoning Bring Down The Roman Empire? Lead exposure has a long history, and some people believe that lead toxicity contributed to the fall of the Roman Empire. MyMedLab, Lead Level — Adult. I test myself here. I can order a test on my own, have blood drawn within the hour, and get results back within a day or two. Numerous “online” testing services are available other than the link I’m providing, and they may provide blood lead testing as well. I have also used hair sample analysis; however, this is not the accepted standard for other medical professionals or governmental agencies you may want to contact if results are high. For more about how to order tests on your own without a physician see here. This article was first published on January 12, 2017. Himalayan Salt – Flint on Global Scale? I can add oil paints and lead came from stained glass work to my exposure risk. Great article. Wondering if that is why gluthioinine supplements cause me diarrhea. Walked that one back to once every few days. That lead in the soil is something that will take a long time to go away, even organic foods may contain lead. I watched some videos by Dr Gregor on youtube about the lead content of certain supplements and even ones grown in the US had lead and arsenic. Seems like you ought to be able to have DIY kits for testing this stuff. My husband is into chemistry (it wasn’t a crime when he was a kid) I’ll check some of his books. I’m also surprised there’s no way to detect it in an MRI or xray. it seems like the bone density might be different for those areas with heavy exposure.